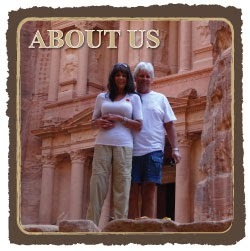 World Wide Waftage - Wafting Through Our World Wide Travels with Ease, Joy and Simplicity: We goofed! Not crossing International Dateline until tonight...Dreading the end of the cruise? We goofed! Not crossing International Dateline until tonight...Dreading the end of the cruise? All I can say is that we're having such a good time, we didn't pay enough attention to our itinerary over these past 12 days simply due to every moment being filled with pleasurable activities. As a result, yesterday's post was inaccurate in stating that we were crossing the International Dateline last night when in fact, we'll cross it tonight. With a two hour time change to boot, we'll be setting our clocks ahead by 22 hours, jumping into Saturday when for many of our readers it will be Friday. As the ship pulled away from the pier in Tahiti, the sky darkened with remnants of sunset. Yesterday at 2 pm I attended a classical piano concert that was performed by a highly acclaimed pianist from the Philippines while Tom was relaxing in the cabin filling out the required immigration forms before entry into Australia. At 3 pm, he attended "The Shed" while I worked out and later read a book on my phone on our veranda. At 5 pm, we met at the bar on the ninth deck and later returned to the cabin to change for dinner. By 6:30, we were seated at the Centrum bar mingling with people we've met over these past days, engaging in conversation and laughter. By 7 pm, we were seated at a table for 10 in the Romeo & Juliet Dining Room chatting with some familiar and some new table mates. Life aboard ship is easy. As Tom says, "I don't have to make the bed, do dishes or take out the trash." Although I don't mind daily household tasks, this definitely is an easy way of life for both of us. Tom standing at the miniature golf. He clobbered me. We've spoken to passengers who've spent as much as 90 days aboard a ship loving every aspect of the experience. Perhaps someday we'll take a long cruise. For now, this 18 or shall I say 17 days has been glorious this far. After another fine dinner with excellent food and friendly people, we went to the live evening show. The performer was an Australian magician although neither of us particularly cares to watch magicians. But, the energy in the packed theatre made the show worthwhile and we left with smiles on our faces. Scenery along the shore in Bora Bora. A 70's disco show was being performed in the Centrum at 10 pm. We watched for awhile as the singers and dancers performed while passengers danced. By 11 pm were back at our cabin, never falling asleep until after midnight. By 6 am this morning we were both up and about, a little tired but anxious to begin another day. Tomorrow will be Saturday to us and we'll only have five days left until we disembark in Sydney on June 11th. In our old life, as the cruise time would have begun to wind down, we'd have been disappointed and filled with angst to return to the "real world" however pleasant that may have been. There are numerous small islands in the South Pacific. We find ourselves curious as to what it would be like to stay on such a small island. We'd have dreaded the pile of mail, the unpacking, the laundry and the spoiled food in the refrigerator. We'd have dreaded the return to responsibilities and mundane tasks. However in a few days most of that dread would dissipate and we'd settle into our daily lives and activities. Instead, excitedly we'll exit the ship, go through immigration, grab a taxi to the airport, board the Qantas Airline flight to Cairns for the short (to us) three hour flight, get our luggage, pick up the rental car to drive 22 minutes to the house in Trinity Beach. Once we arrive, the owners will be awaiting us to familiarize us with the workings of the property. How excited we are! There's no mail to collect and sort through since we've already reviewed the few pieces we've received online in the past weeks from our mailing service. We receive no junk email. More small islands on a cloudy stretch in the South Pacific. As for the responsibilities, we've paid off all of the credit cards while we were on the ship using our Hotspot Shield for privacy and security. We're paid up for future rentals well into July. We already paid the doctor bill from my one incident in Kauai at $311. We don't owe a dime on any other bills. With no utility, cable or cell phone bills, mortgage payments, property taxes, car payments or insurance (other than health and our hauled belongings, paid once a year) life seems easier than in years past..
Once we unpack and settle in, we'll head out to dinner. The next day we'll grocery shop together. Tom always shops with me the first time in a new location based on the huge amount we need to purchase. He does all the heavy lifting, my own personal "pack mule" as he calls himself. Another island in the South Pacific. These tasks aren't tasks to us. We feel like kids "playing house" as we learn the area, its nuances and the names of stores and products we'll typically use in our daily lives. Later in the day, we'll check out the health club and most likely I'll sign up for the three month membership. I've already communicated with the health club confident it will be good match for me. By the end of that weekend, we'll be totally settled and able to embrace living in the beautiful resort town of Trinity Beach, Australia. Another cute towel pet sitting atop our bed when we return to the cabin at the end of the evening. Our fabulous cabin attendant Jill grabbed my sunglasses to top off this cute rabbit. Dreading the end of the cruise? Not us. We'll continue to cherish each remaining day on this wonderfully social cruise. If our minds wander to the task of disembarking we can easily toss those thoughts aside knowing the process should be easy and stress free. ﻿We've learned the nuances of exiting a ship with low stress. Even occasionally "overly grumpy" Tom (on travel days only) is beginning to trust the process and go with the flow. One more day at sea and we'll reach Fiji, where we'll be living in a little over three months. We'll see what the day brings. Please check back. This scene of the view from the veranda in Campanario, Madeira took our breath away. Everyday provided a new and intriguing view of the mountains and hills. For details from that date, please click here.